First off, I couldn’t be more thrilled to guest blog for the one and only Chelsea Briche! I’m a fellow Millennial Miss named Alexis Teichmiller (Tike-miller, it’s super German, I know) and I’m an entrepreneurial mid-western, senior in college with a passion for empowering women to embrace their inner beauty. The world throws around images and expectations of what it thinks you should look like, weigh, wear, act, eat, date, etc. It seems like it’s never ending. After losing myself completely to a terrible relationship, I finally found who I was and who I wanted to be: a GirlBoss. 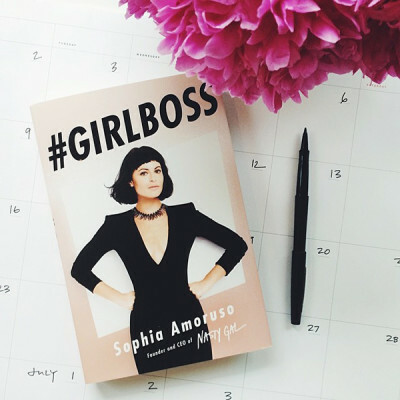 I don’t know if you’ve heard of the book titled #GIRLBOSS by Sophia Amoruso but read it, it will change your life. She built a $100 million company (called Nasty Gal) with 350 employees and she’s in her late twenties. What I love most about her is that she is real. Being authentic is one of the first steps in becoming a GirlBoss. I became a GirlBoss about two years ago when I started a women’s clothing boutique, A T avenue. My small town of 500 (insert moo sound effect) didn’t have much to offer in the clothing department, so I did something about it. I wanted to bring unique styles that you couldn’t by anywhere else to my community. A T avenue started out as a traveling trunk show boutique, hosting shows in women’s homes or businesses, and then transitioned into an online business. Starting and running A T avenue full time, as a full time college student, has been one of the hardest things I’ve ever done. But it’s worth it. To be a GirlBoss you have to work hard. Life won’t hand you anything on a silver platter, you have to push aside your fear and go for it. Whether it be taking a leap and moving across the country without a job or a place to live like Chelsea, or starting a business at 20 years old like me, you can only get what you want from this life by taking risks. Failure is inevitable. And failure makes you appreciate success that much more. I want to encourage you to get out a notebook, napkin, notecard, last months unpaid credit card bill, whatever. Write down something you have always wanted to do. Then I want you to hang it somewhere you will see it every single day. Then I want you to make it happen. If it’s asking out the hot barista at Starbucks, do it. If it’s breaking up with that guy because it’s a toxic relationship, do it. If it’s moving somewhere you’ve always dreamed of, do it. If it’s starting a blog or a business or a charity, do it! We live in an age where we can make anything happen. The Internet allows us to be everywhere at once, with endless resources and knowledge. Use that to your advantage, find something you have that no one else does, and begin to build the future that you’ve always wanted. I won’t lie to you. There will be rough times. You’ll want to quit, call me up and tell me I was wrong, that you couldn’t do it. But you can do it. Even when you fail, you have to pick yourself up and keep going. That’s just what a GirlBoss does, and you my friend, are a GirlBoss. «Millennial Miss does not endorse any products mentioned.